Climbing up the stairs to the second level, we sat by the edge of the upper floor closest to the railings so as to have a good view of the street and what was going on around us. You know how people watching can be so entertaining… Looking at the minimalist menu, we rather quickly made our decisions. 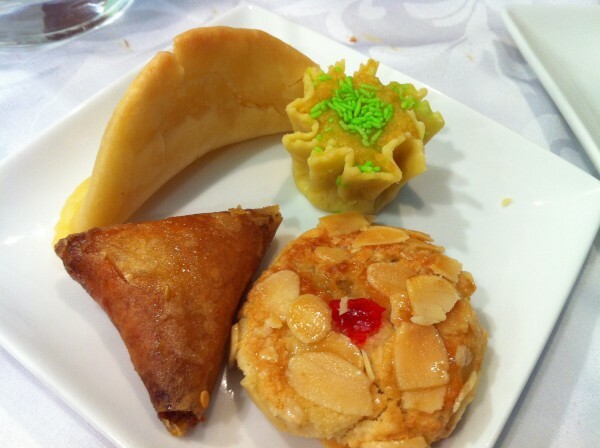 To our surprise, our meals actually included a salad to start as well as mint tea and dessert at the end of the meal! It was written nowhere on the menu and our server didn’t tell us either so it ended up being a pleasant surprise. 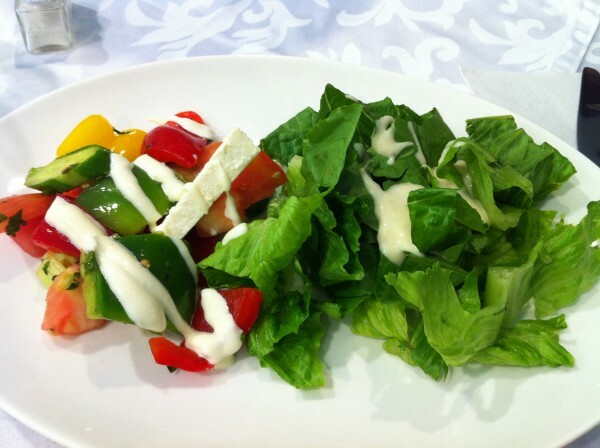 So, a basic salad with a thick, creamy dressing came along with some freshly cut, raw veggies with chunks of feta. Could have done with a bit more feta but this was a good start. Shortly afterwards, our mains came. 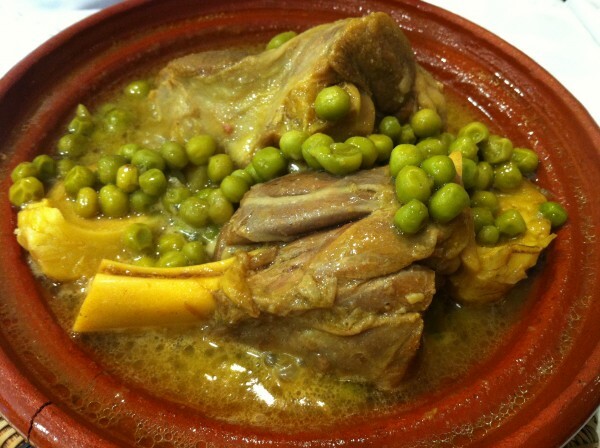 The tagine with peas and artichoke hearts, the tagine with olives and lemons and the typical Moroccan méchoui. 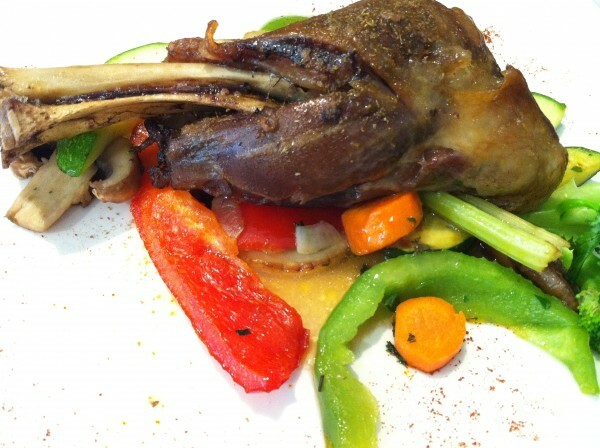 The lamb in the first dish was cooked to a good level of tenderness as the meat was literally falling off the bone. It went well with the peas, the artichoke hearts and the broth in which is was cooked. 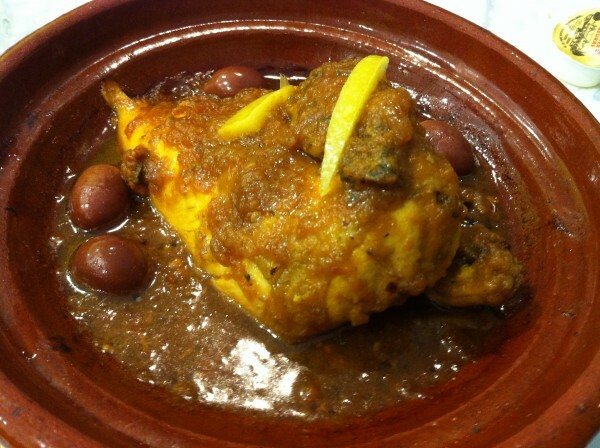 The tagine with olives and lemons is a supposed classic of Moroccan cuisine. I was really looking forward to trying something super authentic and true to the culture but this version of the dish wasn’t what I was expecting. The meat was actually quite dry – if it weren’t for the sauce at the bottom of the tagine, this dish would have been difficult to finish. The spices within the sauce itself were delicious, but there just wasn’t enough to go around to cover the meat. I could have also done with some more lemon in order to give the dish an extra push in terms of the flavor profile. The méchoui was nice. Served on the bone along with some veggies underneath, this one was finished up with ease. Yum. 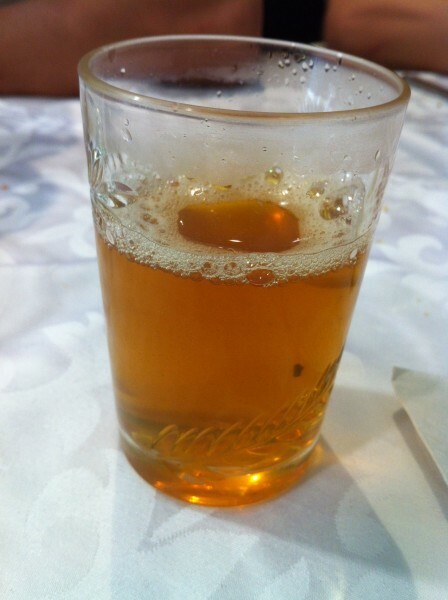 The mint tea was pretty standard – I do love a good, hot cup of slightly sweetened mint tea. Such a perfect finish to almost any meal. Our server came by with a tray of sweets for us to choose from. Little delicate things waited to be picked – we had a combination between the three of us to share. Almond cookies, pistachio and rosewater biscuits ended our meal on a good note. 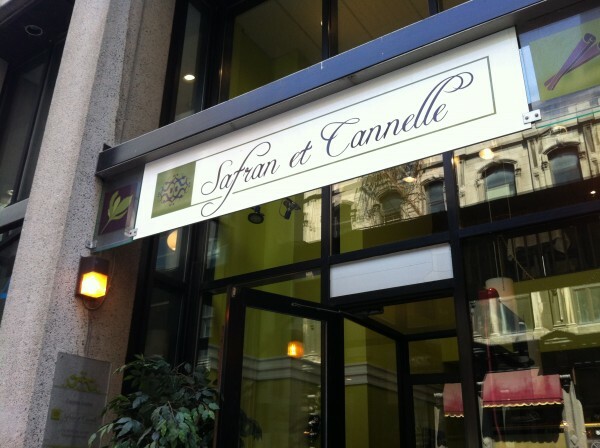 Tags: Almond, Dinner, Fish, forkandtell, Lamb, Lemon, Lunch, Mint Tea, Montreal, Moroccan, North Africa, Olives, Pistachio, Rosewater, Salad, Tagine.